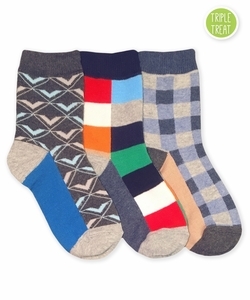 Funky pattern dress socks that are cotton rich for extra comfort. Triple Treat = 3 Pair Asst. Pack - 1 Pair of Each Pattern Packed Individually.